The 115th Congress (2017-2018) was a successful legislative session for small and independent breweries: The House Small Brewers Caucus was the largest special interest caucus in Congress with 241 members and the farm bill included language that benefits our hops and barley supply chain partners. Congress also found something they could all agree on and passed a Congressional Resolution recognizing Charlie Papazian’s contributions to brewing and the American Homebrewer Association’s 40th anniversary. Our crowning achievement was the Craft Beverage Modernization and Tax Reform Act (CBMTRA). The bipartisan, bicameral legislation, which had 303 co-sponsors in the House and 56 co-sponsors in the Senate, provided language that temporarily lowered the federal excise taxes for breweries (and wineries and distilleries) that was included in a larger tax bill for a period of two years. Unless these provisions are extended or made permanent, CBMTRA will expire on Dec. 31, 2019. A quick refresher on what the lower federal excise tax (FET) rates look like for breweries. Since Jan. 1, 2018 a small brewer that produces less than 2 million barrels of beer per year is eligible to pay $3.50 per barrel on the first 60,000 barrels produced each year. This rate expires on Dec. 31, 2019. Once production exceeds 60,000 barrels, a small brewer must pay the same $16 per barrel excise tax rate that the largest brewer pays at 90 million barrels. This rate expires on December 31, 2019. We don’t often talk about what an accomplishment it was to get this language passed. Thousands of breweries across the U.S. realized a 50 percent reduction in their FET, and it never would have been accomplished without their hard work and grassroots efforts. It’s a testament to how much our industry has matured in the past decade. Now that the Craft Beverage Modernization and Tax Reform Act of 2019 (S. 362) has been reintroduced by Senators Ron Wyden (D-OR) and Roy Blunt (R-MO) with a goal of making the lower federal excise taxes permanent, we should reflect on how small and independent breweries used their tax savings to strengthen their businesses and communities and what steps we can take to make sure that it continues to have the strong bipartisan support it enjoyed last Congress. How did small and independent breweries use their FET savings? 399 breweries responded that they would be increasing their economic development by purchasing new equipment, upgrading their tasting rooms and breweries, moving to new buildings, etc. 293 breweries responded that they would be hiring new employees at an average of 2.7 new employees per brewery. 216 breweries responded that they would be increasing their employee benefits by raising pay, offering or expanding their insurance and retirement benefits. 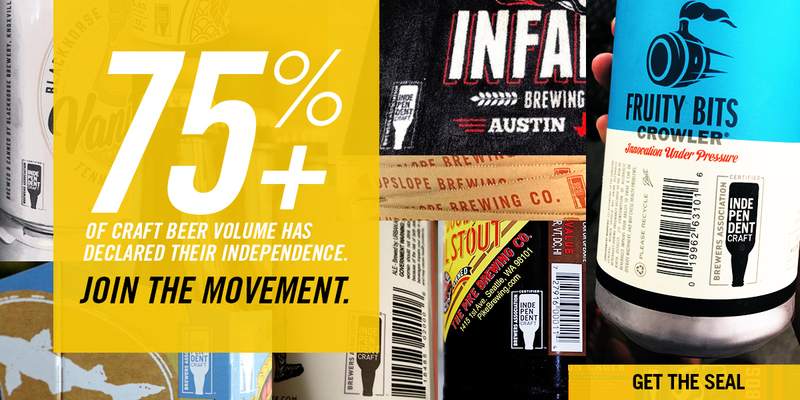 116 breweries responded that they would be increasing their contributions to charity. Most importantly, 469 breweries responded that they would be more likely to make capital investments and hire new people if the current FET rate was made permanent. Why should the current FET rate become permanent? Breweries large and small pay a multitude of taxes. 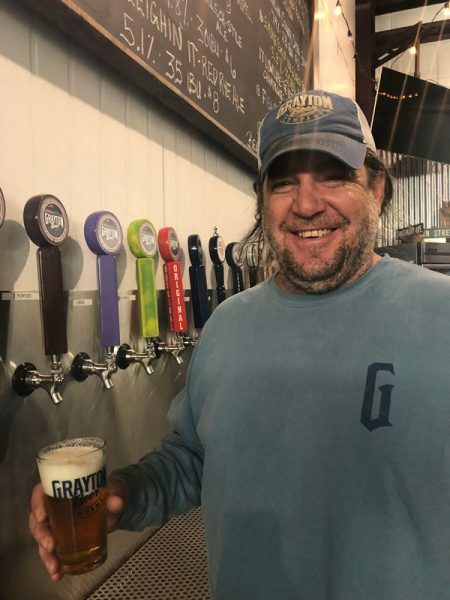 In additional to all the taxes that any other small business or corporation pays breweries also pay federal excise taxes, state excise taxes, and in some cases even county or city excise taxes. We pay more than our fair share of taxes already and quite frankly; the proof is in the pudding. Breweries are using the money they are saving to hire new employers and expand their businesses. If this rate isn’t made permanent, more than 7,100 small business across the country will see a tax increase. Breweries have already seen uncertainty because of the TTB and SBA closures during the partial government shutdown, and an increase in aluminum prices due to tariffs, making the FET rate permanent will help offer stability to the industry in an uncertain time. What can small and independent breweries do to make the FET rates permanent? Share your story! Let your elected officials know how your brewery is using the money you have saved from the FET recalibration. You can find your legislator by visiting house.gov or senate.gov and enter your zip code, or contact me (Katie Marisic), Brewers Association federal affairs manager. Once you have the information you need you can call the office and extend an invitation to your legislators to visit the brewery (you can even invite them to participate in a brew day). Let the staff know that you support making the current federal excise tax rate permanent. 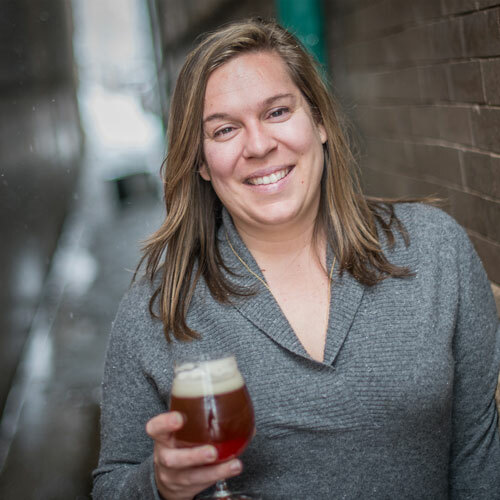 Katie Marisic is federal affairs manager at the Brewers Association (BA). Based in Washington, D.C. she plans and executes legislative, regulatory and political strategies to drive the associations federal affairs presence on Capitol Hill. Prior to working for the BA, Katie was vice president of political affairs at the National Association of Federal Credit Unions. She got her start in politics working on congressional campaigns during the ’06 and ’08 elections. A Pennsylvania native, Katie is a long time craft brewing supporter. In 2013 she helped to open Atlas Brew Works in Washington, D.C. When she is not advocating for the craft brewing community on Capitol Hill you can sometimes find her pouring beers at a local tasting room.